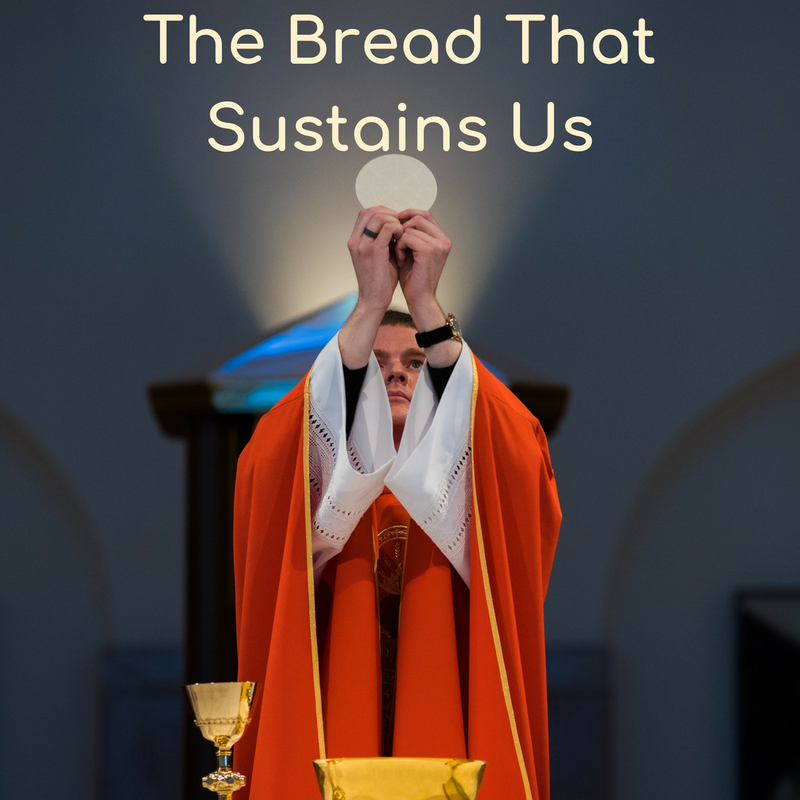 God gives us the bread that sustains us through life's journey. I have family members who will say that being out in nature is going to church for them. They say they speak to God when they are in the mountains/out in nature. My comeback to that is that you can't receive the Eucharist without participating in Mass. In 1Kings 19:4-8 Elijah had given up. He just wanted to die, but God sent an angel twice with bread and water to sustain him on his journey. 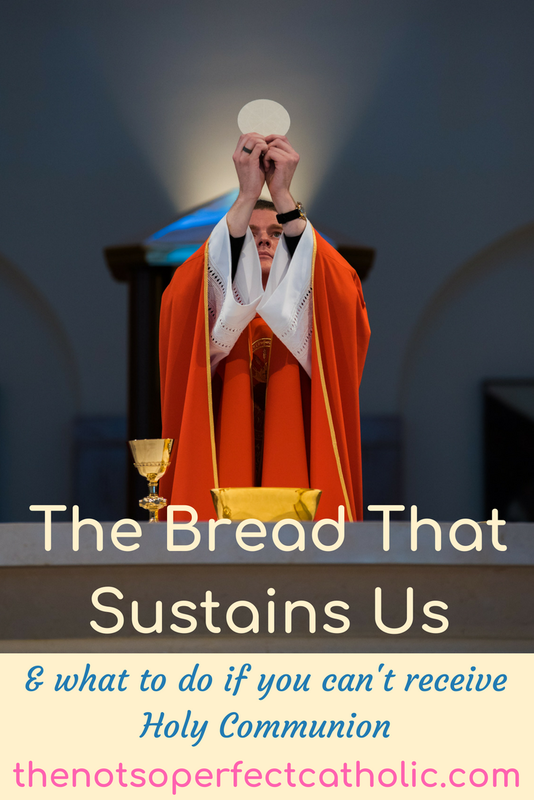 God is continuously offering us the living bread and water to sustain us on our earthly journey. He offers Himself daily. Unfortunately, there are those of us who are not able to participate in Daily Mass due to work obligations. On those days, we can pray a Spiritual Communion. 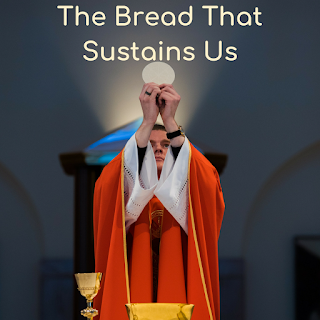 A Spiritual Communion is giving your whole self to God when you can't receive Sacramental Communion. It's having the desire to receive Christ but not being able to physically receive Christ through Holy Communion. In a Q&A from Our Sunday Visitor, Father Francis Hoffman, J.C.D. defines a Spiritual Communion as "a personal devotional that anyone can pray at any time to express their desire to receive Holy Communion at that moment, but in which circumstances impede them from actually receiving Holy Communion." He explains that the circumstance may be anything from being home-bound to being on a mountain top. 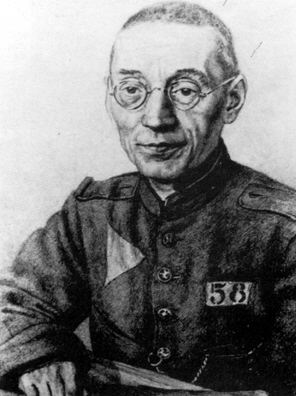 He goes on to say that "your soul receives grace to the degree that you have true hunger for the Holy Eucharist". Even though a lot of Catholics may not have heard of a Spiritual Communion, it has actually been around for centuries. In the late 16th Century, the Catechism of the Council of Trent devoted a whole section to Spiritual Communion. Pope John Paul II spoke of it in his encyclical Ecclesia de Eucharitia. Many saints made Spiritual Communions numerous times during their day. 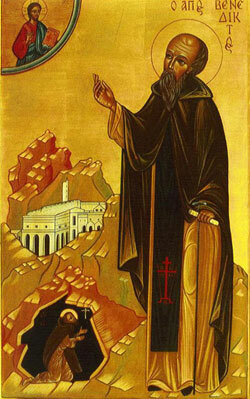 Padre Pio, even though he celebrated Mass every day, made them during his day. St. Catherine of Siena, concerned that her Spiritual Communions were lacking, had a vision of Jesus with a gold and silver chalice. In the gold chalice were Sacramental Communions, in the silver were Spiritual Communions. He then told her that both forms of Communions pleased Him. 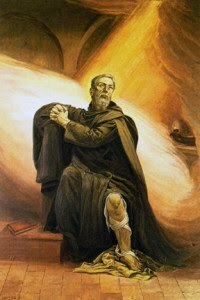 Other Saints who prayed Spiritual Communions include St. Thomas Aquinas, St. Maximillian Kolbe, St. Alphonsus, St. Teresa of Jesus, and St. Josemaria Escriva. "My Jesus, I believe that you are present in the Blessed Sacrament. I love you above all things and I desire you with all my heart. Since I cannot receive you now sacramentally, I ask you to come spiritually into my heart. I embrace you as if you were already in my heart and unite myself to you completely. Please do not let me be ever separated from you." As you may know, I work for a school system. My schools have a moment of silence after the Pledge of Allegiance every day. (Yes, there are still schools out there who do this!) What a perfect time to ask my Angel to go to any Mass that may be celebrated throughout the world at any given time. go to the church for me. where I desire to be. come down from heaven above. and I his temple be. the pledge of every grace. Amen. In John 6:41-51 the word "bread" is said 6 times. Do you think He's trying to tell us something? 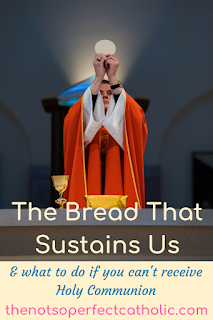 My parish priest said the partaking in the bread we are offered at Mass "gives us the strength and courage to do the will of God; to get over ourselves and to spread the Word of God." He said that, just as in the Gospel passage, we at times come into Church mumbling and murmuring, but the bread of life is HERE. Here is where we take the bread of life into our bodies and are called to take it out into the world. As Catholics, what a gift we have been given! To be able to receive the Precious Body & Blood of Our Lord, Jesus Christ to sustain us on our life's journey. I don't know how my Protestant friends sustain their strength. There have been periods in my life when I did not regularly attend Mass. Looking back, I felt weak at those times. There was definitely something missing. Sacramental Communion definitely gives me the strength to continue on as God wills. Not only that, but I feel that I am able to carry out His will and to accept things that may not go as I want them to. I love being Catholic. I love that my parents gave me this gift and I chose to accept it. It's hard to imagine what my life would be like and how difficult this journey of life would be if I wasn't able to eat the bread of life that sustains us.